This guy certainly earns the title “colossus”. This sentry guards a hidden city, apparently. Let’s go find it. 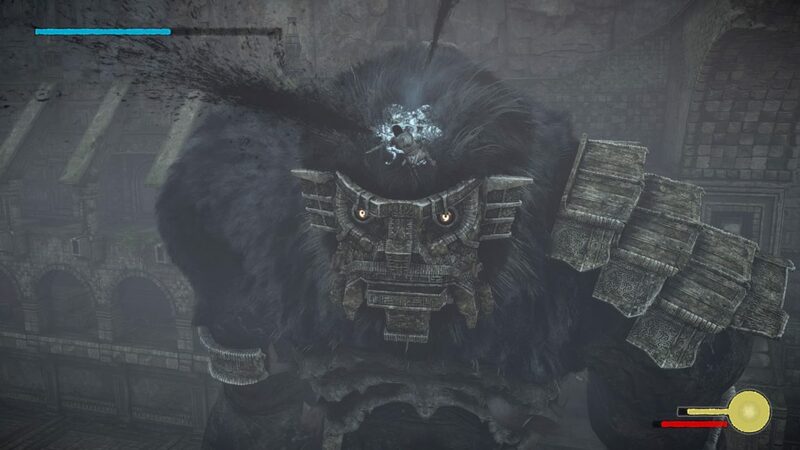 This is an easy Colossus to find. Head due north alongside the tall bridge that dominates the map, and when you can’t go any further head east until you arrive at a castle carved into the rock. Run to the far end of the field and the Colossus arrives. See how the tiles move when he stomps around? That’s your first clue and you’re going to use that against it. 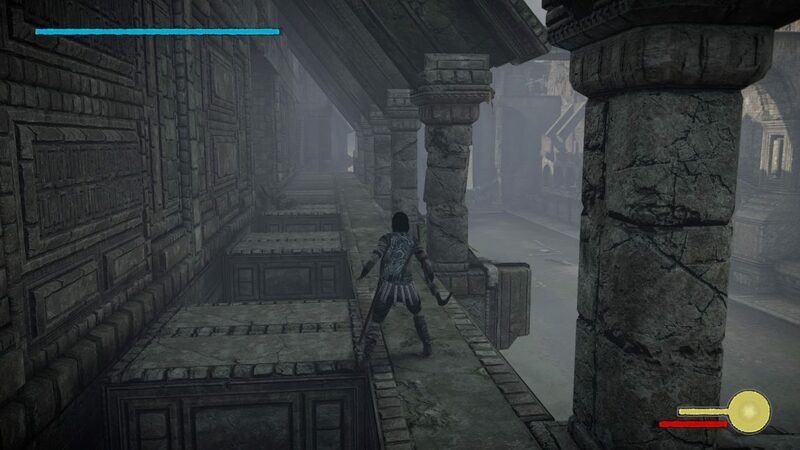 Run back about halfway to a ledge on the right hand side of the arena that is just out of reach. 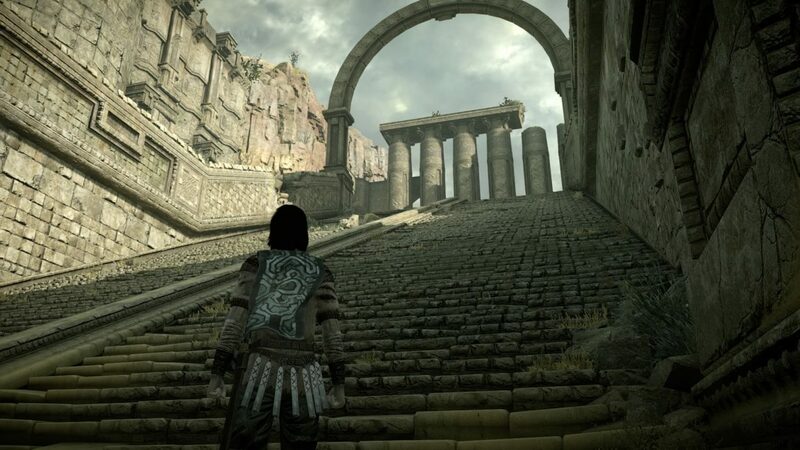 Stand on the tiles below it and let the Colossus stomp at you (avoid it) and as the floor tiles raise you can use them to climb up. Now go up the steps to the next ledge with columns. 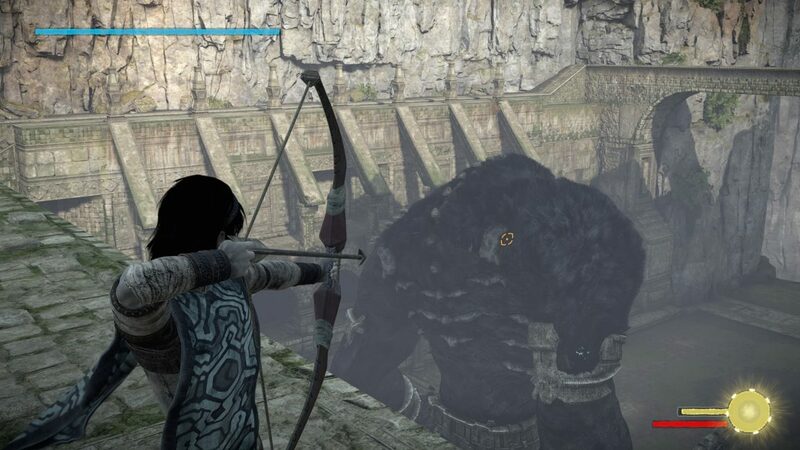 From here shoot an arrow to get the Colossus’ attention and when it swings its axe it will dislodge some square blocks. You can now use these to climb up around onto the level above. From here follow the steps up and get on one of the two stone bridges that span the field. 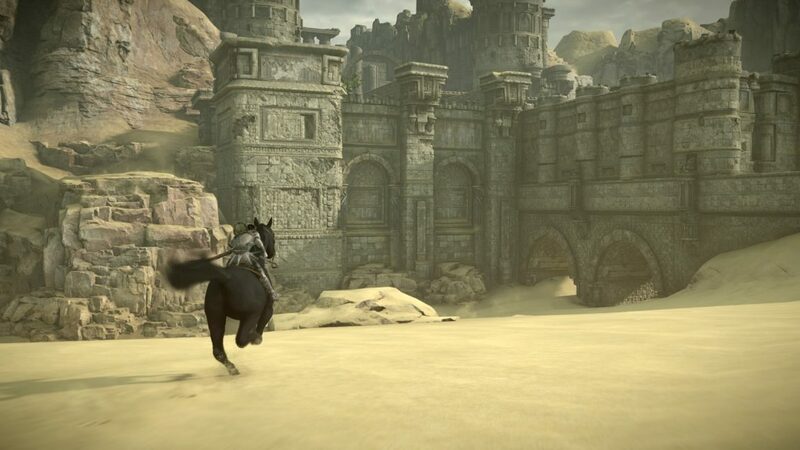 Fire an arrow to get its attention again, then step back to the safer edge around the arena as it’s about to smash the bridge to pieces. Now it’s done that it will come close enough for you to leap onto its head where you will find the first weak spot. 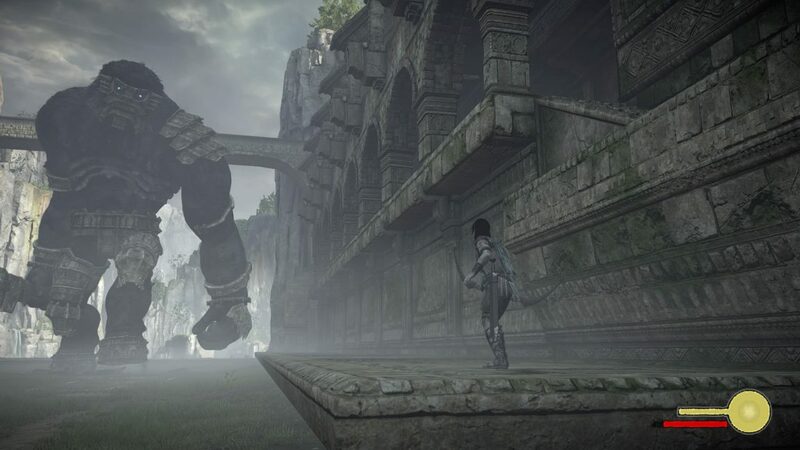 Once that’s been dealt with, you’ll notice only one of this Colossus’ shoulders has armour. 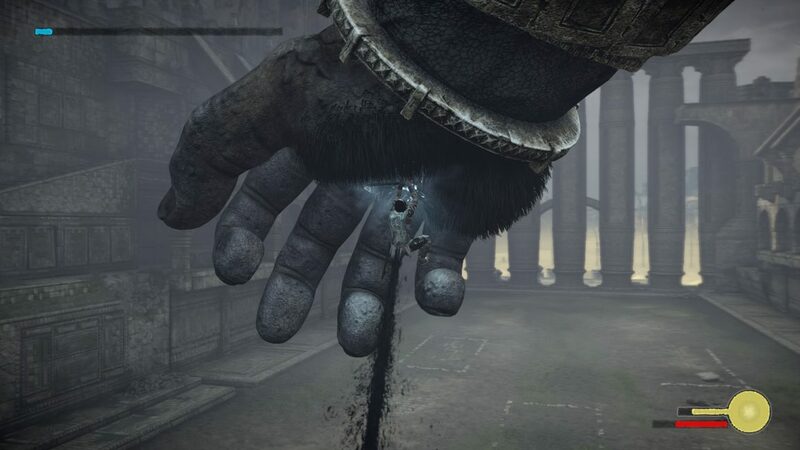 Crawl down the arm without armour until you get to its wound – this is its second weak spot. Stab that, and when it rages and loses its sword, drop to the floor. You now have to wait for it to strike you with its sword hand. Roll out of the way and quickly jump into its palm to find the final weak spot.